I mean, Theseus had a purpose -- he was going to Athens to claim (or make?) his place there. He built his reputation along the way in such a manner as to make it virtually impossible for Aegeus to turn him away. When he arrived, according to some myths, Medea advised Aegeus to kill him, because he was obviously seeking to usurp Aegeus's power. And maybe she was right. Maybe Theseus was a champion of the people of Attica, intent on upsetting the status quo, to over throw the king (and his sorceress mistress?) and reassert the peoples' power -- to speak with the peoples' voice? And maybe, Aegeus, realizing the error of his ways, (was he a tyrant? he might have been!) instead of being overthrown, used it to his advantage to preserve his own power while at the same time giving his people the appearance of winning, by adopting Theseus as his son. He didn't have any heirs, after all, and if the people were revolting against the current leadership, whatever Medea's plans were, they weren't going to work. And there was always the hope that Theseus might end up dead in Crete anyway. And maybe that was even a condition of the adoption -- maybe to be declared Aegeus's heir, Theseus had to go to Crete as tribute, and IF he survived and returned to Athens, he would then be given the kingship, free and clear. And maybe when Aegeus leaped from the rock to his death, it wasn't grief that drove him. Maybe it was the realization that he'd lost the gamble, and Theseus had returned -- and knowing he'd lost his kingdom, maybe he wanted to save face. Rather than being removed, he made a statement, and shadowed Theseus' ascendance with his suicide. All of this assuming, of course, that a man named Theseus might have lived, and a king named Aegeus might have died. Long before she ran away with Paris to Troy, Helen of Sparta was haunted by nightmares of a burning city under siege. These dreams foretold impending war—a war that only Helen has the power to avert. To do so, she must defy her family and betray her betrothed by fleeing the palace in the dead of night. In need of protection, she finds shelter and comfort in the arms of Theseus, son of Poseidon. With Theseus at her side, she believes she can escape her destiny. But at every turn, new dangers—violence, betrayal, extortion, threat of war—thwart Helen’s plans and bar her path. Still, she refuses to bend to the will of the gods. 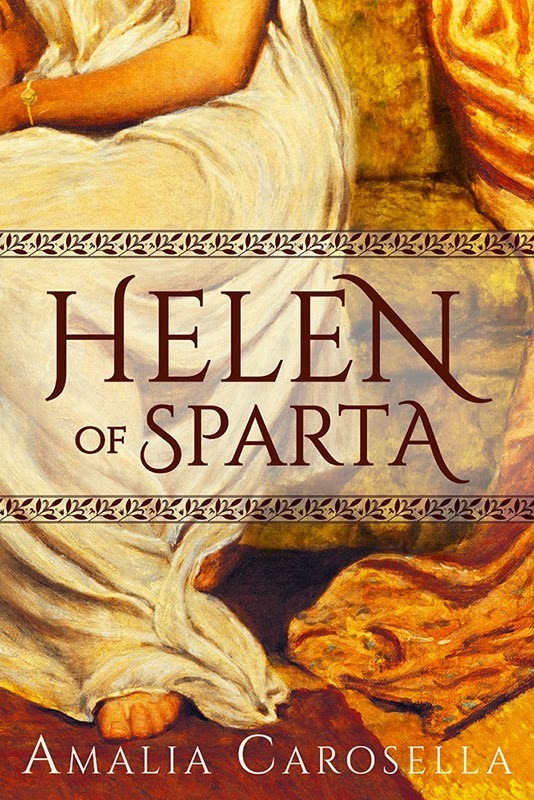 A new take on an ancient myth, Helen of Sparta is the story of one woman determined to decide her own fate. TAMING FATE is FREE for kindle This Weekend Only!